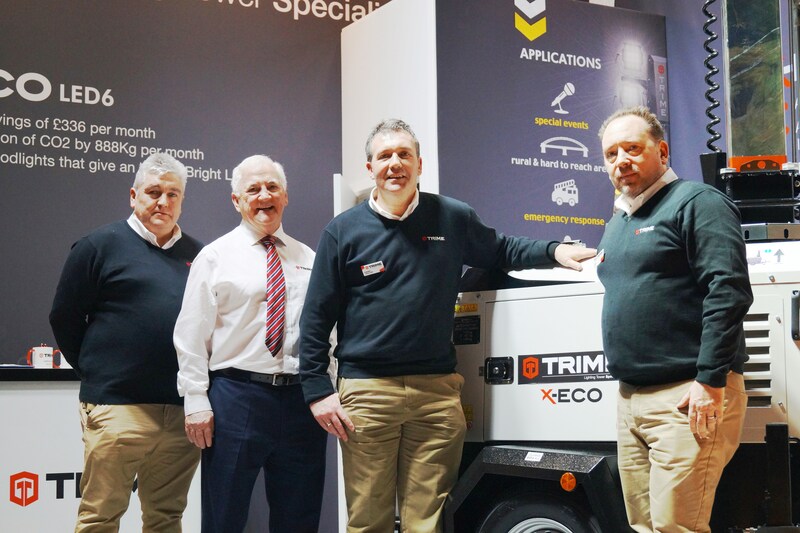 At the 2019 Executive Hire Show, Trime UK will be showcasing their zero-emissions X-BATTERY and their X-CHAIN site lighting towers. The X-BATTERY was used at festivals throughout the 2018 and over two hundred X-CHAIN sets were purchased by one leading rental organisation. Trime’s market leading X-ECO LED lighting set will also be prominently displayed. Visitors to stand J42 will also be able to view a video that demonstrates the sustainable elements of Trime’s X-SPLASH Wash Bay – a recent recipient of a Green Champion Award from the leading environmental campaigners, the Green Organisation. In addition, Trime will also be launching the highly innovative X-BOOT footwear cleaning module – a product that features a unique recycling water system. Using a similar technique that the made the X-SPLASH such a successful product, the X-BOOT wash system has been made to recycle 100% of the water used. Its clever design enables a site to utilise the same water many times, as the X-BOOTs’ filtration system collects the soil and mud for easy disposal via a removable textile bag. Ray, Paul, Mark, Andrew, Wayne and Grace are ready to guide visitors through the features and benefits of the complete Trime range.